Jusung Engineering is a leading process equipment technology provider for the semiconductor, flat panel display, solar cell, and lighting industries. Since its founding in 1995, Jusung’s innovations enable customers and partners to produce advanced technology products while maintaining cost competitiveness and shortening time to market. Developed by Jusung Engineering, SDPCVD (Space Divided Plasma Chemical Vapor Deposition) is considered to be one of the most advanced and promising technologies as the system can handle all of the deposition processes by PECVD, LPCVD and ALD. In combination with new-concept plasma technology, the SDPCVD provides improved productivity up to twice that of PECVD and LPCVD. 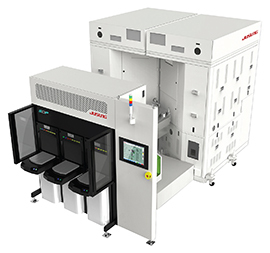 It is an innovative system designed to manage quality film coating even the temperature is below 400°C by maximizing the merits of the ALD system and tackling the PECVD system’s drawback of wafer damage from plasma. [Serial No. 2012-G-016] Shinsung Solar Energy has started PV business, the key field of renewable energy since 2007, and it will have 400MW solar cell annual capacity at Jeungpyeong and 200MW solar module annual capacity at Eumseong by the end of 2014. Shinsung Solar Energy achieved 20.03% conversion efficiency rate for solar cell, and 19.6% efficiency rate in mass production in 2012. The company is producing above 19% efficiency solar cells with pure Korean technology and successfully established its ‘solar cell – module – installation’ model. 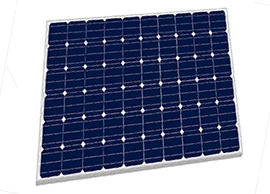 Shinsung Solar Energy’s SS-BM260 solar cell has weight of 19kg and boasts peak power of 260wp. Moreover, 15.94% energy efficiency is strong point for potential client companies to choose the product. That product is being vigorously adopted by companies developing photovoltaic power system in countries like the U.S.A, China and Japan.